After completing a thorough policy review and working to develop similar revisions with other U-M campuses, the University of Michigan-Flint has updated its policy and procedures regarding student sexual and gender-based misconduct and other forms of interpersonal violence. A key revision includes an in-person hearing in which students involved in sexual misconduct investigations have the opportunity to ask questions of one another and witnesses in some types of investigations. This update follows a September 2018 ruling of the U.S. Sixth Circuit Court of Appeals that states when credibility is at issue in student sexual misconduct cases, a public university must give the accused student an in-person hearing with the opportunity for the accused student or their adviser to cross-examine the accuser and witnesses. The changes in the revised policy also follow updated federal and state laws and guidance. Other notable updates include the addition of an adaptable resolution and the use of trained external reviewers and hearing officers. 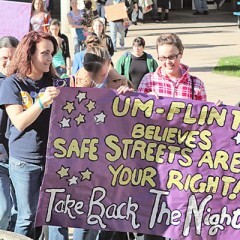 UM-Flint’s updated policy is effective as of January 2019. “It’s critical that this process be as approachable as possible for all students,” said Chris Giordano, UM-Flint vice chancellor for student affairs. “We are committed to exploring ways to assure the prevention of and appropriate response to sexual assault and violence, while also considering expanded resolution options. 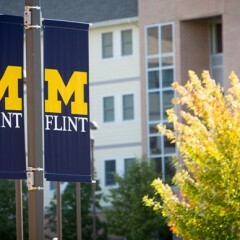 UM-Flint campus resources include the Center for Gender and Sexuality (formerly the Women’s Education Center and the Ellen Bommarito LGBTQ Center), Counseling and Psychological Services, the Office of the Dean of Students, the Office of the Ombuds, the Department of Public Safety, and the UM-Flint Institutional Equity Specialist, Kirstie Stroble. “After thorough examination of the previous policy and careful review of the recent Sixth Circuit Court decision, we believe our revisions will address some important changes vital to the adjudication of these cases,” said Stroble. 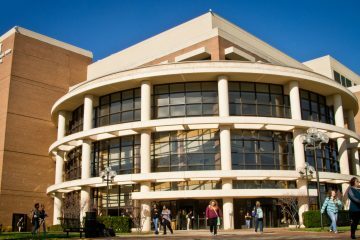 The policy revisions will be considered interim pending a period of time in which the university can engage the campus community to provide feedback on the effectiveness of the policy.